In March 2009, Jason A. Bryan founded and incorporated Bryan Electric, Inc. The company began with only four employees managing small to medium size retail and commercial electrical contracting services work for new construction projects and remodels. Over the past several years, we have had the opportunity to expand our team to 75+ people allowing us to successfully manage larger electrical projects. 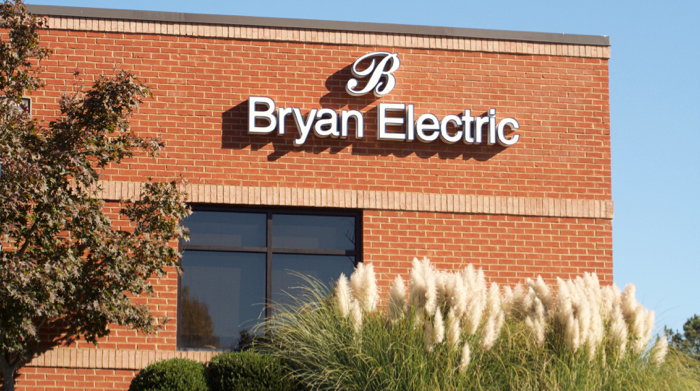 With an unwavering commitment to deliver superior workmanship and customer satisfaction, Bryan Electric has built its industry reputation as the leading source for retail and commercial electrical contracting services throughout the nation. Currently licensed in 21 states, we continue to grow our service area to meet our clients’ needs. We offer our clients a unique blend of knowledge and experience resulting in timely and productive electrical projects. Taking great pride in each project we are awarded, Bryan Electric works diligently to ensure that we continually exceed our clients’ expectations. We are proud to say that 90% of our business, is repeat business. Throughout Bryan Electric, the company’s core values together with a high focus on safety are the number one drivers behind what we do. Safety. Integrity. Respect. Dependability. Excellence. Here at Bryan Electric we believe the best environment is a safe environment. The future of our company depends on the safety and safety practices of our employees. In the field and in the office, we understand that without a safe work environment we have nothing on which to build. Safety is very imperative to us and will not under any circumstances be compromised. With such a broad area of coverage, integrity has been recognized as one of the most important ethical concepts to date. When a person acts with integrity, they are allowing other positive traits to surface such as honesty, dependability, and respect. These values are essential in the growth and development of a strong and reputable business. At Bryan Electric, we have developed a culture of integrity with a consensus around shared values, policies, and leadership philosophy. Offering a highly valued work environment, we provide a foundation for solid long-term financial performance built on trust for our clients and staff. Respect – “I speak to everyone in the same way, whether he is the garbage man or the president of the university.”— Albert Einstein. Respect is one of the top most sought after qualities individuals look for in a workplace. At Bryan Electric, we want you to feel comfortable with the way you are treated, as well as the services we provide for you. Understanding the importance of all levels of communication helps demonstrate the proper respect that allows for lasting relationships. Dependability – We understand the importance of having a contractor you can depend on from the pre-construction phase through the completion of each job. To ensure each project is completed in a timely manner, our team works extremely hard to provide the absolute best service and experience we can offer to our clients. As a result, this provides unlimited growth and development for a strong and reputable business. Excellence – We strive for excellence in all we do. We want to exceed our clients’ expectations and produce high quality workmanship on every project. We appreciate your feedback so never hesitate to contact us with any questions or concerns you may have. Having the opportunity to grow as a company, as well as the service we provide is always appreciated. In order to meet the needs of our clients’, we are continuously working towards expanding our coverage area. Our goal is to be licensed in 35 states by 2020.